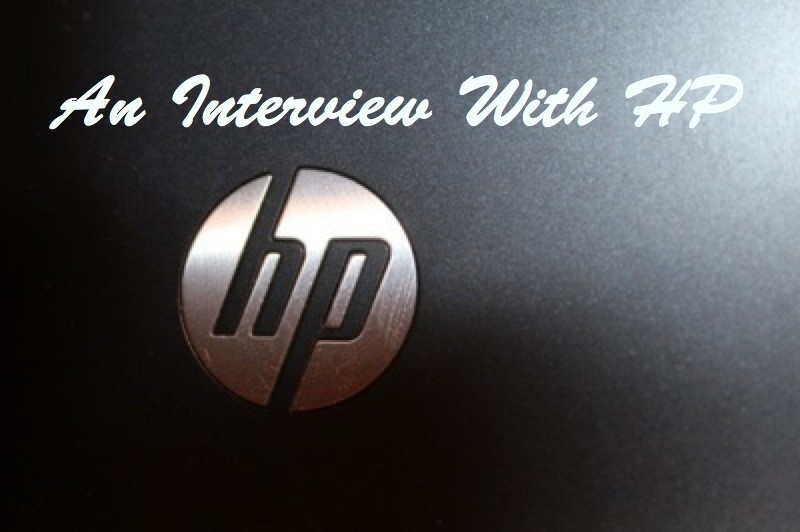 We recently “sat down” for an interview with Kathy Wright, the woman in charge of HP’s entire Global Digital Support Effort. To give some perspective on how big that is, according to Ms. Wright, 40 Million Customers come to HP looking for support each month. This article has the full edited transcript of our conversation where we discussed HP’s Customer Support strengths, weaknesses, and plans for the future. I also included a few testimonials I got from you guys of bad experience and had her respond, and it made for a pretty interesting read. Enjoy. Some summary and analysis is coming. Did I take it too far at points? Maybe, but it was all in the name of getting good answers for you guys. Does HP Recognize that there may be a problem with customer support? I’ve found that a lot of users say they feel stuck in the system, and it’s for the same reasons. HP Definitely recognizes that customers will have concerns about their products, that there might be concerns about an issue they’re experiencing, or a quality concern but we take that pretty seriously. I actually work in the consumer services support organization and I have for ten years at HP, so I see a lot of the work, and the processes, and the improvements that we talk about on a daily basis. I can tell you that oftentimes, you know, customers will talk about it, will call us, and we take all of those things seriously. I wouldn’t call it a problem per se, but we do take it very seriously, and every customer, if they’re willing to provide feedback to us, or if they go through a support experience, that we talk to them about it, and we take it seriously and then bring it back in house and see what we can fix or quickly provide a resolution for them. Six months ago I had one of these experiences where I had a computer that was falling apart, and it had been falling apart from the start. I went looking for support, and my call was stuck in India. Even when I found an American number, the agents basically said “We can’t help you”. From there, I went and found the office numbers of some of your customer support executives, and a few days later they called me back and said “you can call our customer support line, or don’t call at all, or else we’ll take legal action”. All I wanted was to provide feedback. Well I don’t think that’s the typical experience most customers would have. First of all, let me apologize. That’s not typically how we should be responding to customers, or how we train our agents to deal with customers, so I think that’s an unfortunate episode, but I did see you were able to get through to someone thanks to our internal program, “voice of the customer”. We will elevate calls to different levels of agents. So for example, you got help from another blogger out there who had a fellow employee at HP who was able to help them and call you back, or get that netbook replaced for you. And that’s typically how we’ll go about a process internally. The Voice of the customer program leads the customer back into some of the processes internally to help them, and to relieve them of that frustration. Just a side comment on this. I later ran a search of their “Voice of the customer” program, and found no reference to it in the outside world. It’s a good idea, but in order to make it fair for the average customer, they need to open it up the everyone and make the program more public and self-serve. Right now you need to somehow contact an employee (best chance is over the forum) and then they have the final say in whether you make it into the program. One of the representatives I had didn’t even speak English. Another couldn’t locate the serial number on my product. I wanted to give you feedback on your support, but obviously it took quite an effort. Is there a place for a regular customer with no connections to get into contact with you guys and voice a concern? Yeah. There are several ways you can go about contacting someone at HP. So the first way is through our forum. That’s really a good first line of defense for customers, meaning that if they have an issue or a question we several hundred experts who are people who work within HP, really dedicated customers of HP, and they’re really a good first line for customers to come into HP. Most of the time if you encounter some sort of issue with the product, whether it be from a quality or technical standpoint, most likely it’s been answered out there for you. And again, if you come in to the forum, and it’s a quality issue and the expert can’t help you. They can then initiate the [voice of the customer] process, and they’ll be able to get you through that process and ease that pain, going through repair, or having your product replaced. They’re a very good line of contact. A lot of those people work in research and development. They work on product teams. They develop content for support issues, so the forum is a great place for people to start. That would be the first thing I would mention. The second piece is if you’re talking specifically about emailing someone or getting in contact with higher ups or executives, we do actually an email that goes directly to Meg Whitman, our CEO and President, but what I would share is that’s going to funnel you back into a system around “voice of the customer” program, or an executive customer support response team. They’re there to help those kinds of customers who are frustrated, and come in through that door. There’s different alternatives for the customer. Obviously the forum is a really good first start, because it’s peer to peer, a lot of the same questions are being asked, and we have those people who are experts internally who can help you. And then again, we have a pretty robust website for support specifically which is available at HP.com/support. It’s worldwide. It’s in 20-something languages. We cover seventy something countries, so I think that’s another alternative for a customer because not everyone is as brave as yourself where they’ll continue to pick up the phone, or call us back. Sometimes they just want to go and find the answer really quickly without having to engage with someone, so they’ll just post something on twitter, or they’ll go to our website and get direct access to content. And pretty successfully, a good portion of the time. Do you or other HP executives ever read customer feedback? What’s your source of information on what’s going on with the customer? Absolutely. We have several ways to do that. We just initiated a new survey in the digital support space. We have another survey for everyone who calls, emails, or chats with us via support experience. We also use the same set of processes with a survey using a “push a button on the phone” kind of thing, or a “would you like to take a survey” or “we’ll email you back”. We look at that data every day. We have a series of teams, whether they’re in the support realm, or within the product team. We have a closed group process. We take each and every customer feedback whether that’s related to quality, how-to questions, or things about improvements to the product. If there’s a technical issue that continues to rise up. We categorize all of those. We have response teams that look at them, and then we feed them back into the quality teams at HP, or lets sat R and D team, if it’s a new feature they want, or something they want to see in the future. We also have a process for those to be closed out, meaning that if a customer is dissatisfied, or if a customer has an issue and can’t seem to find a resolution and they’re really just reaching out to us, we’ll make sure someone responds to them. We get quite a few. Thousands and thousands of responses that come in via the website survey alone. And then of course, we also survey those customers that come in through the forum. So we take it pretty seriously. We look at each and every survey response that comes in. They’re categorized. They’re then hand-delivered to other folks. There’s action plans that are put in place. Or different aspects of work that get delivered to different groups so that the different teams within HP can actually see those, and see what the customers are saying firsthand. Now, in addition to those, we sit down with customers and our team of engineers and ask them about our support experience. Functionalities on the website, or new product functionalities. Product teams do a lot of visibility in the forums. They also do a lot of testing processes with customers and on products, and bring them in and talk to them about new offering, and do a lot of customer insight where we go into small subsets of homes and view in-home interviews and watch them do processes. We do a little bit of both in the human factors realm.